Baking and grilling is the easiest way for me to prepare healthy meals for my family. I think the food taste better too when it was baked or grilled. 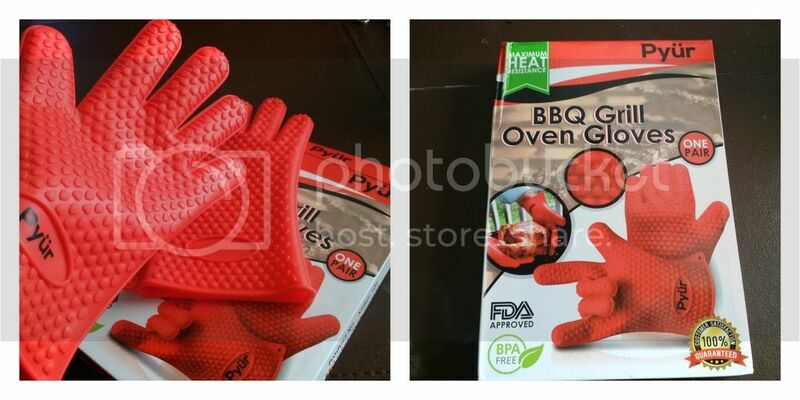 But, when it comes to hand protection, I am glad this BBQ Silicone Heat Resistant Gloves from Pyur came out in the market. I never had a silicone heat resistant gloves before so I can't compare it to other silicon gloves that is out in the market. But this is way better than my cloth gloves. It protects me from getting burns due to high heat and cooking oil spills. It's waterproof and oil proof so it will be impossible for me to get burns. It fits just great on my hand although it was a bit bigger but it says it can fit most hand sizes. It feels comfortable to wear, it covers my wrist as well. I love the non slip design grip with hearts, I never drop a hot tray and find it easier to grab cooking pots and baking trays. I can use it to flip meats too. 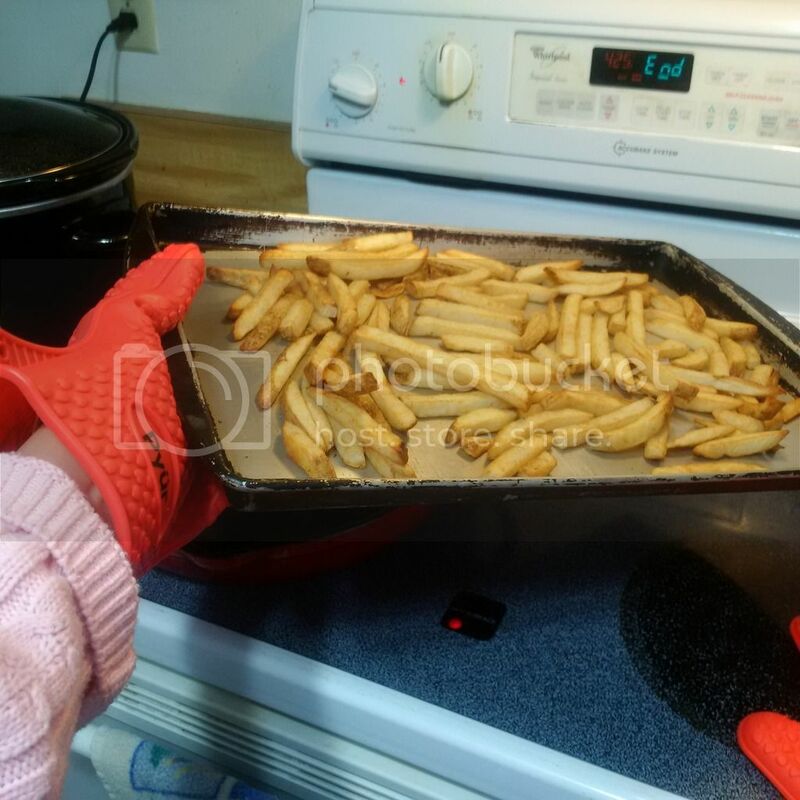 I tried baking fries on a tray for 425 F, when I grab the tray I didn't feel any hot temperature. But after almost a minute I felt a tolerable heat from the tray. I find it easier to clean and dry, I love that I can wash it in dishwasher and it is BPA free. The gloves feels thick but not hard to maneuver especially grasping an object. I guess you can use it for other purposes such as gardening? I find it easy to store, does not take a lot of space in my drawer but I was able to hang it on my kitchen wall too. There is a hole on the side of each glove for hanging. - Easy to clean, water proof and dishwasher safe. Disclosure: I received the product on heavily discounted price in exchange of my honest review. This is a nice post. I like the gloves. Silicone gloves is better than a cloth gloves. We can easily bake and grill foods by using it. Thanks for sharing this post.